Ella Backauskas is a Junior at NASH. She is a powerlifter, goalie and field player for the NA Field Hockey team, and North Pitt United Rugby player. She is a passionate singer/songwriter, guitarist, violinist, and pianist. 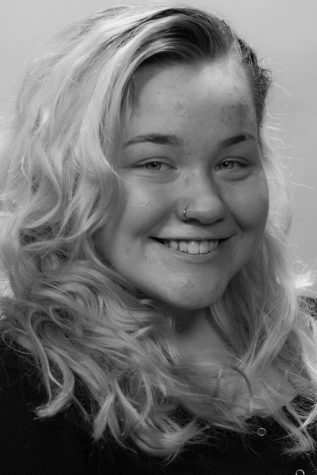 She is an aspiring special effects makeup artist, and loves music and to write. She loves watching Ru Paul's Drag Race and ANTM, and is a piercing lover with 27 of her own.